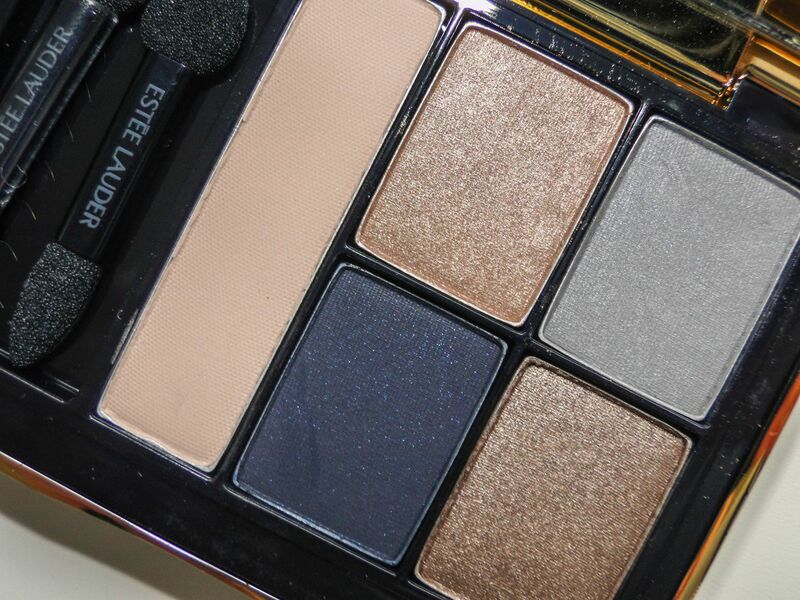 I’m not sure I could love Estee Lauder’s Pure Color Envy range any more. The lipsticks are wonderfully creamy, and packed full of pigment, and the eyeshadows are truly divine. 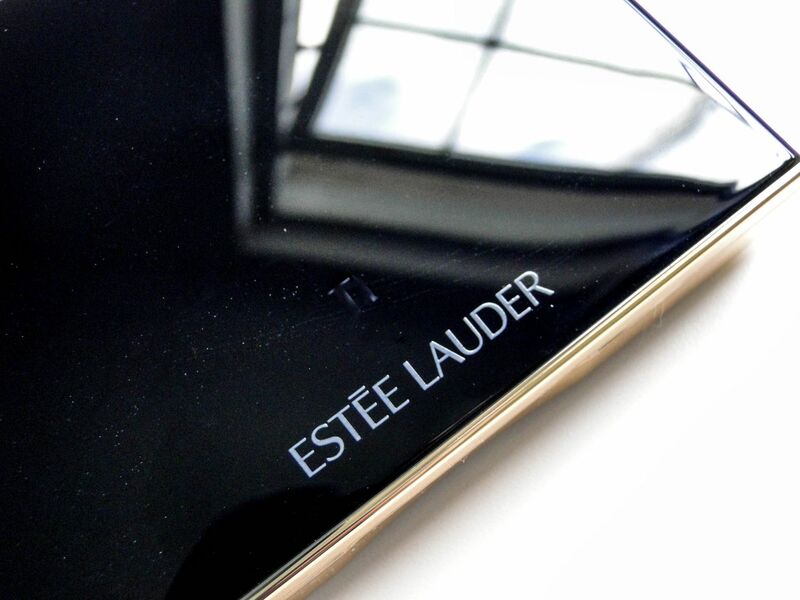 I’m more than a little obsessed with the glamorous packaging – the shiny navy compact is edge in gold and it shuts with a satisfying click. Inside is even better! 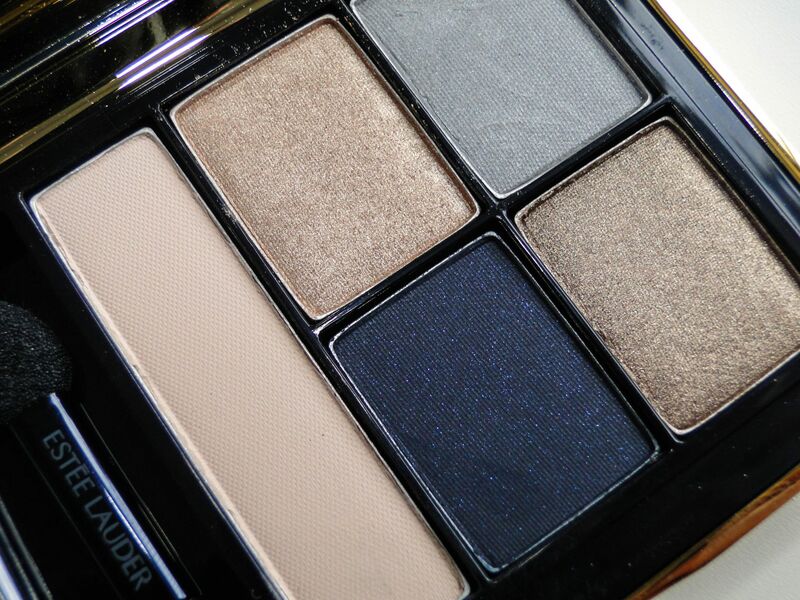 When I was sorting out my stash a few weeks ago, I realized there was something missing – blue eyeshadow. I’ve always been a little wary to try out blue. 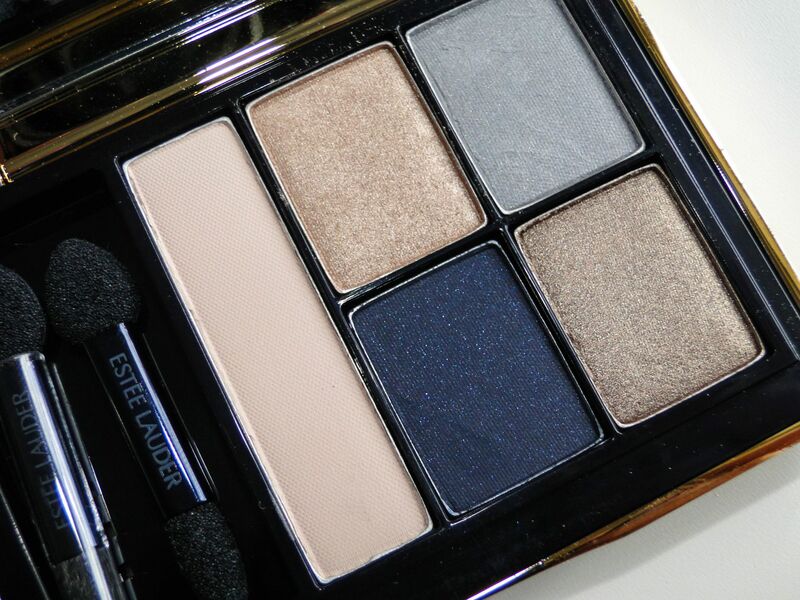 It’s far too easy to head directly for a mid-eighties, Dynesty look, but with Estee Lauder’s Infamous Sky palette, I just had to try it! 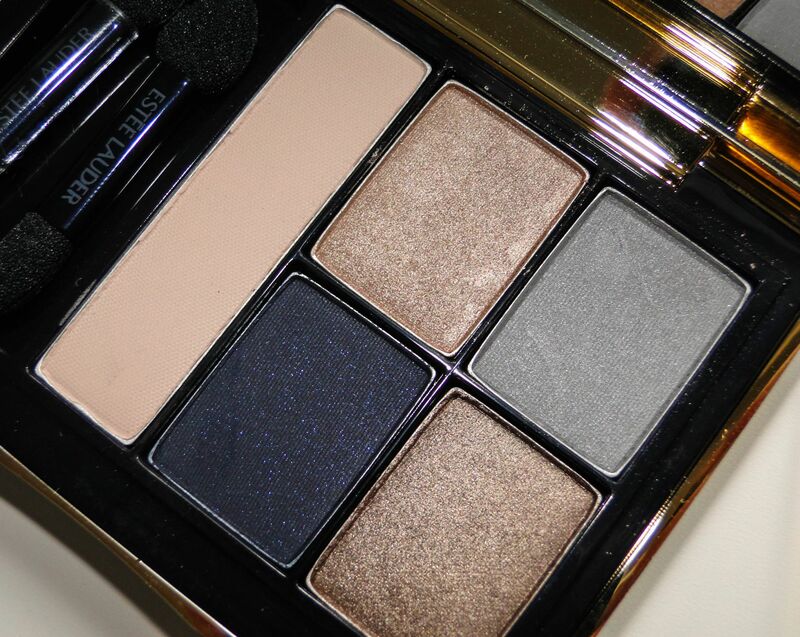 The palette consists of 5 colors which can be used wet or dry depending on how intense you want your look to be. There is a beautiful bone shade, which is perfect to use as a base or subtle highlighter, a warm metallic gold, a cool blue toned grey, a warm metallic taupe and a deep glittery navy. The formulas are absolutely dreamy. Soft with amazing color payoff, they feel almost like cream shadows. Without a primer I had 7+ hours wear without a hint of creasing, and with a primer, my eye makeup was as perfect when I washed it off as when I applied it. For a subtle day look I swept the bone cover over my lids, then pressed a little of the metallic taupe. It looked fresh and natural – perfect for a casual lunch with friends. For a more dramatic look I swept the grey over my lids, then applied a little of the navy in the crease. I then wet my eyeliner brush and used the navy to line my lash line. 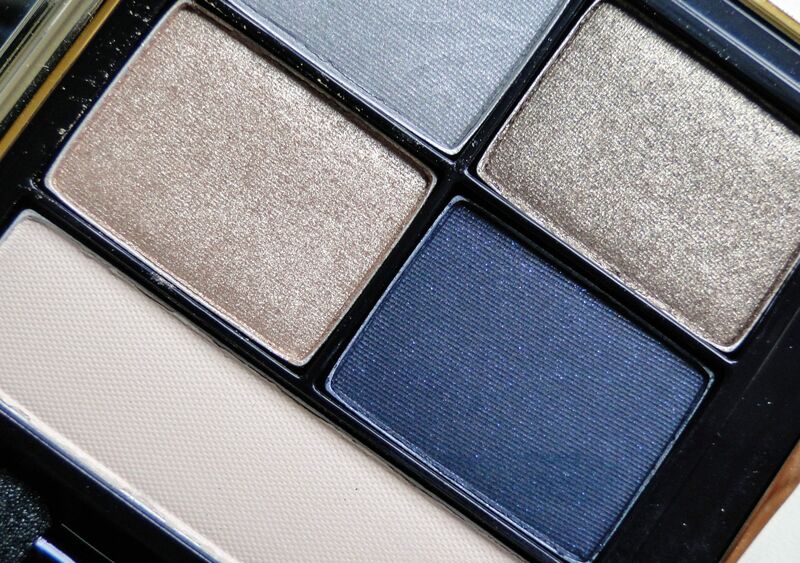 It felt like such a pretty and fresh way to update a smokey eye. The navy was softer than my usual black, but felt just as dressed up. I can’t believe how versatile the palette is – I can easily use it to achieve an easy day-to-day look as well as something far more dramatic. It’s perfect for travel!